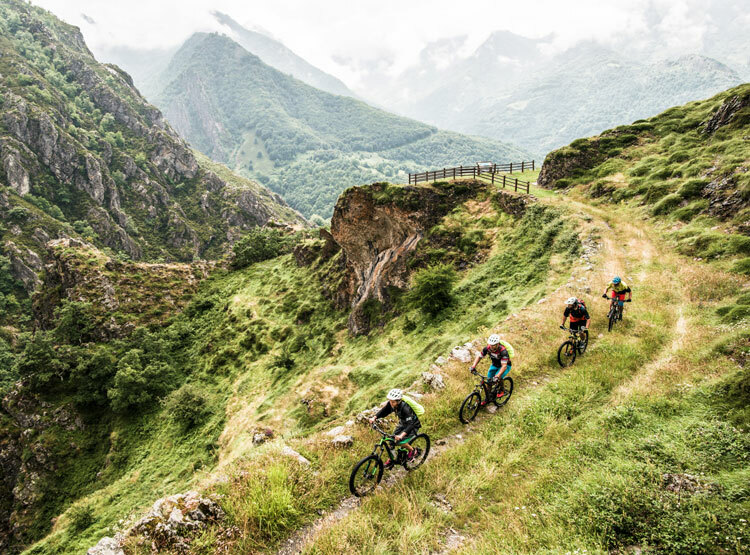 A lovely place to place self guided mountain bike holiday in Italy, that alternates between dirt tracks and quiet asphalt roads, steep climbs and thrilling descents. This is a journey deep into the heart of Sardinia, requiring a reasonable level of fitness rather than technical ability. Starting near Montevecchio, at the agriturismo famous for its delicious home made pasta, we set off east taking us past an ever changing landscape of olive groves and vineyards, lush green oak woods and into breathtaking wilderness mountain scenery. The holiday culminates with a lovely descent through the mountains of Supramonte to the stunning emerald green Orosei Gulf. After a richly deserved swim and spot of relaxation, time to celebrate our great adventure. With many little restaurants and pizzerias overlooking the beach, there is no better way to finish our adventure than enjoying another superb meal, sipping wine and watching the stars twinkle over the Med. If you can’t find a date to suit or want to go it alone, there is also a self guided road option and a fully guided mountain bike option too. You can also watch this fantastic YouTube video filmed by John O'Mahoney who went on the trip back a couple of years ago.